Shah Rukh Khan-Deepika Padukone starrer 'Chennai Express', helmed by Rohit Shetty who now has 4 films ('Chennai Express', 'Singham', 'Golmaal 3', 'Bol Bachchan') in the 100 crore club, has earned Rs 202.67 crore in 14 days at the domestic box-office. "Records are meant to be shattered and #ChennaiExpress does just that. Becomes the BIGGEST grosser of Hindi cinema," said trade analyst Taran Adarsh via Twitter. "#ChennaiExpress creates HISTORY. Week 1: 156.70 cr. Week 2: 43.85 cr. Week 3 - Fri: 2.12 cr. grand total: Rs 202.67 cr nett. India biz only," added Taran. 1. 'Chennai Express' is the highest-grossing Bollywood film. 2. 'Chennai Express' is the first film to cross Rs. 100 crore in its opening weekend. 3. 'Chennai Express' is the fastest Hindi film to reach Rs 100 crore. The film achieved the feat in just four days. 4. 'Chennai Express' is the second film in 200 crore club. 5. The Shah Rukh Khan-Deepika Padukone starrer holds paid preview collection record. The film earned Rs. 6.75 crore on August 8 (Thursday) beating 3 Idiots' record of Rs. 2.7 crore. 6. Rohit Shetty's romantic comedy has the highest opening day collection record. The film garnered Rs. 33.12 crore on August 9 (Friday) beating Ek Tha Tiger's record of Rs. 32.92 crore. 7. 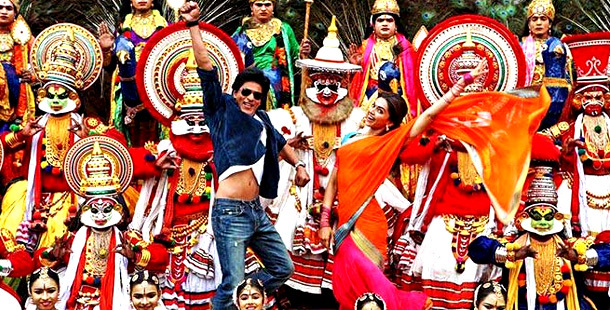 'Chennai Express' also holds the highest second day collection record. The film recorded a B.O collection of Rs. 28.05 crore on August 10 (Saturday).